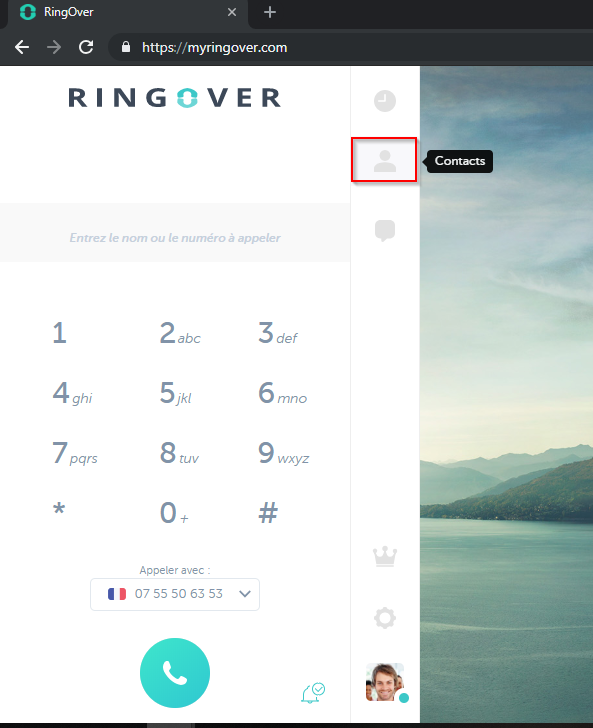 To make or receive calls with your RingOver number, you can use the web app on www.myringover.com or the mobile app for iOS or Android. Log in to your RingOver on the website myringover.com or with the smartphone app using your username and password. To make a call, select a contact from your contact list. Clicking their number will start the call automatically. 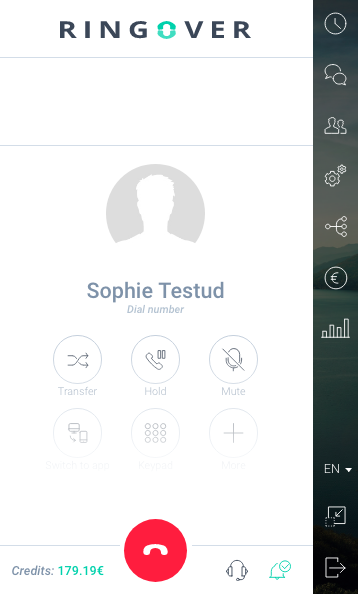 You can also enter the name or number of your contact using the smart dialer. With the first letters or numbers entered, suggested corresponding contacts will appear. 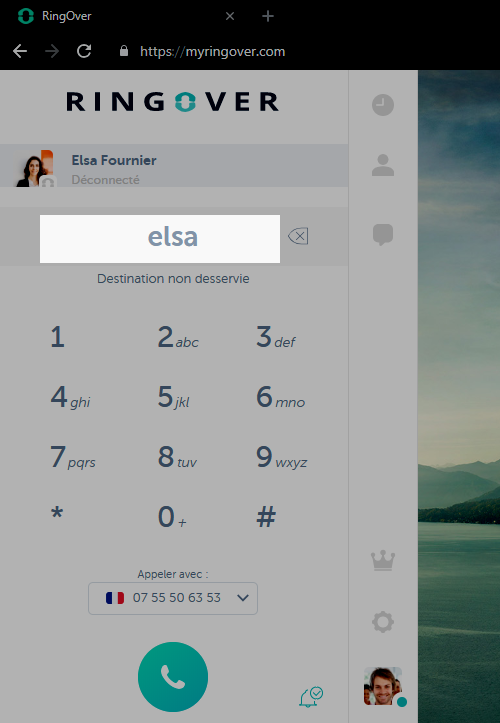 For incoming calls, a call notification will appear on your desktop and/or mobile. To answer the call, simply click the green telephone icon.